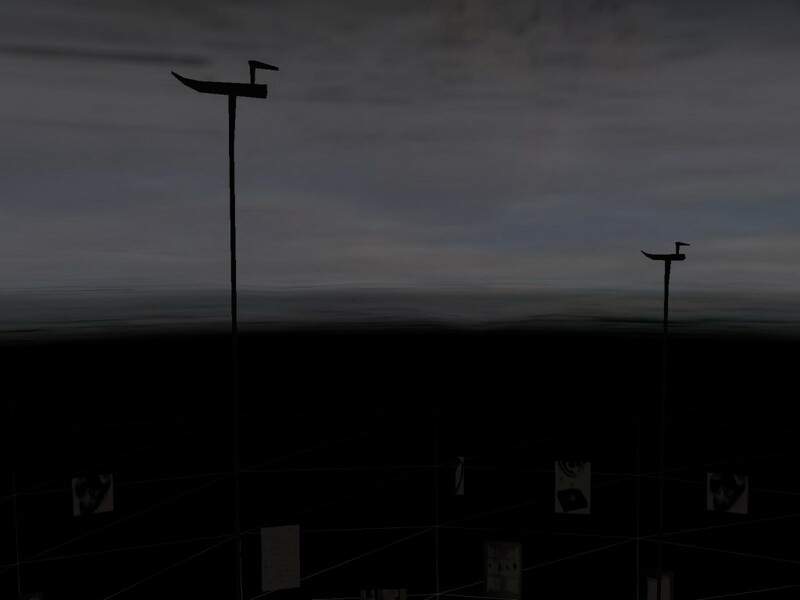 Infinite Cemetery is a poetic, virtual-sound-generation space, driven by user’s interaction data. 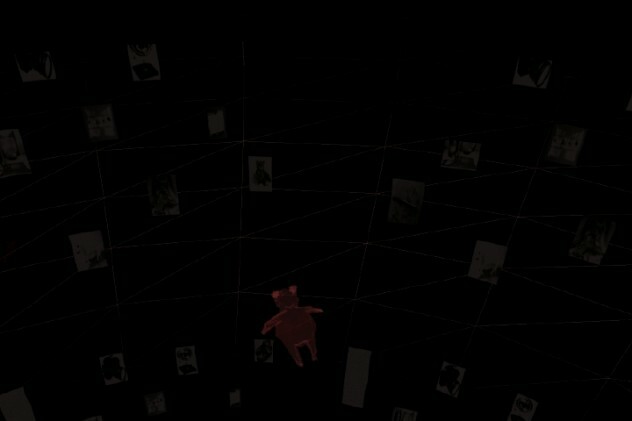 User’s navigation in virtual cemetery will motivate 3D events and generate real-time spatial sound composition, which explores cognitive aspects of memory and perception in a virtual environment. Filled with voice of love letter readings, Infinite Cemetery illustrates an ironical concept of life, bringing spirit to daily objects represented by virtually-rendered objects. It raises question about the meaning of virtual entity, life and memory. MAX/MSP and VIRTOOLS will exchange data through TCP/IP connection, which allows complicated interaction between user, sound and virtual interactive environment. – Virtools is used for graphical rendering and user command interpretation. – Max/MSP is used to generate a soundtrack. The two components of the system communicate by exchanging messages (via the TCP/IP channel) using special objects netreceive/netsend for Max/MSP, and special plug-ins appropriately written for the Virtools side. Virtools presents a set of objects placed at fixed coordinates within the virtual space. During navigation, the position of the user’s point of view is sent to Max/MSP and used to establish the distance of the user from the objects. The distances from the objects and the absolute position of the user are used for control parameters of music/sound generation. For example, if the user’s point of view is located on the top side of the virtual environment, the sound generated by Max/MSP is “quieter”; on the contrary, placing oneself at the bottom of the virtual space introduces distortions in the sound. A user approaching a Shaman object starts a random extraction of words/phrase from a love letter related to this object, as a reminiscence of the meaning of the virtual entities. Infinite Cemetery illustrates an ironical concept of life, bringing spirit to daily objects represented by virtually-rendered objects. Infinite Cemetery is filled with the voice of love letters written to each writer’s favorite object, which should illuminate the personal relationship with and memory of our daily objects. The constant reading of love letters evokes life in objects conventionally known as inanimate, in this symbolic cemetery. A similar process can be shown in Korean shaman rituals where objects are transformed into a special meaning, acquiring a spiritual power from the ritural process. At the beginning of the ritual, Shaman begins to build her relationship with objects called “Mu-Gu” (shaman’s object), in order to obtain her trans-state of shaman. Puppet, fan, knife and bells often appear as Mu-Gu that are usually buried underground and found by the shaman. The Shaman shakes it or dances with it, making Mu-Gu’s spirit come alive and activating a trans-state of shaman. Objects appear as mediator between the dead and the spirit in shaman ritual. 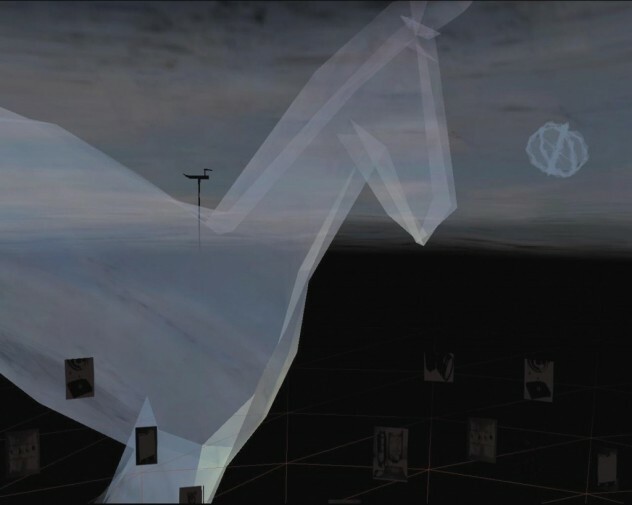 In Infinite Cemetery, all the objects in the virtual space could be read as shaman’s objects that will act as a transparent membrane between life/death and real/virtual. It raises questions about our notion of “life”, focusing on the process of life-giving, rather than the status of life-given. Life is not only the physical status of being, but also something emerging from a relationship and spiritual connection in process. In virtual space, virtual objects are gaining life by being interested or loved by users. Infinite Cemetery is a symbolic space to bring a new romance and life, which plays out an infinite paradox between life/death and real/virtual.